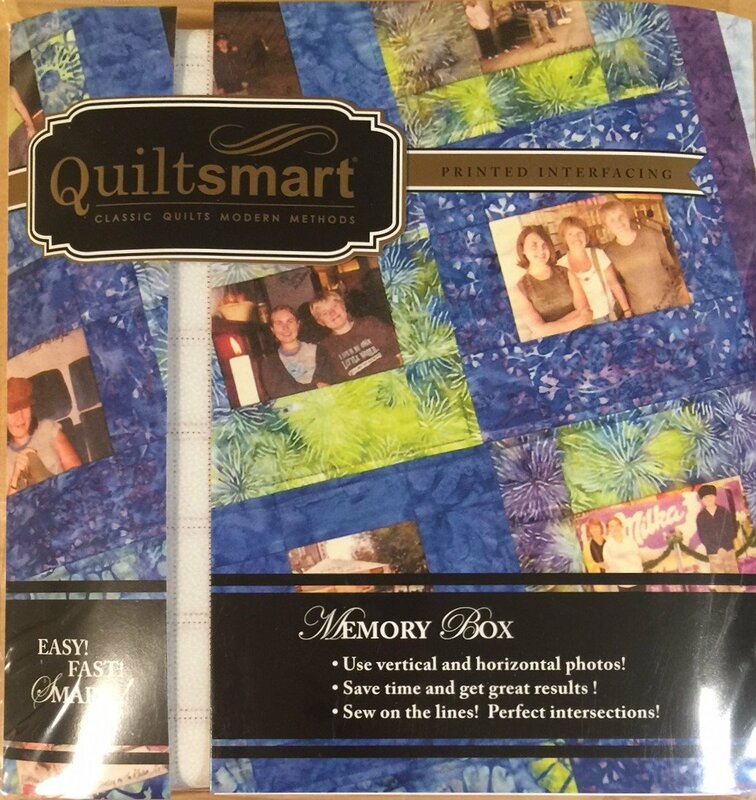 Copy your favorite memorabilia to fabric printer sheets, then use them EASILY in a memory quilt. Use vertical and horizontal photos! Or take a picture of something you love and use that! METHOD: "Fuse, Fold, & Sew". Perfectly-matched intersections, easy construction! Comes in a 9" x 9" pack with 5 panels of interfacing & instructions. Two layouts included - Small - 2 panels (12 photos) or Lap- 5 panels (30 photos). Or you can create your own size like I did in the large one for my mom (54 pictures - she kept asking me if she could put more in it). 6 blocks per panel. VARIATION: After you stitch the individual blocks tilt some of them just a tad and square up. You will need to make all of your blocks the same size before stitching them together. A square ruler is helpful. The blocks will be smaller, but they are really cute tilted - see Coco's quilt in the pictures. On some of them, I added a little fabric along two of the sides on some of the blocks in order to make this work which was dependent on how much I tilted it. And, don't forget the Chatter Boxes - they are darling on this quilt!